Our guests are able to enjoy every moment of their holidays in the hotel. Several facilities such as breakfast hall, swimming pool, gym and many more, are some of the key elements for a pleasant and memorable staying. In addition due to the hotel’s location you can practice with your favorite activities, like fishing or sailing. 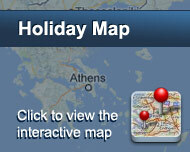 Cleopatra Beach Hotel facilitates luxury rooms with splendid sea and garden view. Cozy aesthetics in accordance with nice decoration are the features of the room’s interior. Moreover for your best convenience are all fully equipped. Είστε ιδιοκτήτης ή διευθυντής στο CLEOPATRA BEACH; Εγγραφείτε τώρα για δωρεάν εργαλεία, που μπορείτε να χρησιμοποιήσετε για να βελτιώσετε την καταχώρησή σας και να συνδέσετε την ιστοσελίδα σας και το σύστημα κρατήσεών σας.